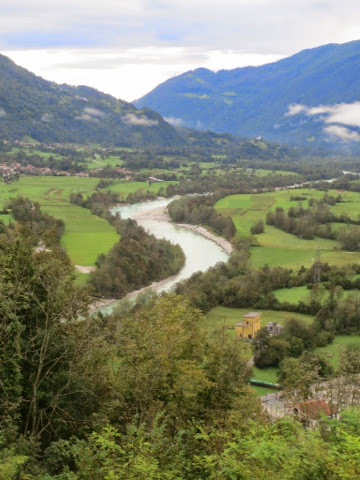 KOBARID, is one of the most renowned historical places in Slovenia. 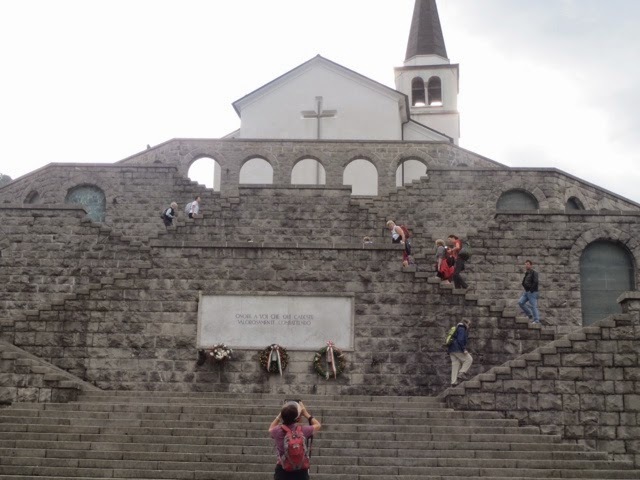 We departed our hotel to walk to the Italian Charnel House which was built on Granic Hill near the Church of St Anton. The stations of the cross are erected along the road, leading to the Charnel House. ST Anton Church, consecrated in 1696, is built at the very top where mortal remains of 7,600 known and unknown soldier who had been killed in the First World War and were carried to the Charnel House from nearby army camps. After our visit we continued climbing to Tonocov Grad Hill which is a rocky elevation near Kobdiad. Due to its naturally secure position, it was used as a settlement for many centuries. It was settled in different periods from the Copper Age until the Middle Ages. 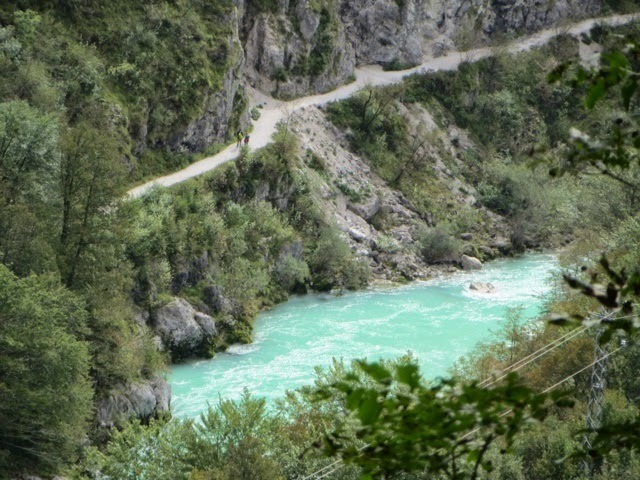 We continued on the path leading from Tonocov Grad to the Soca river. In the past, the path was already used by the native people and partly completed by the Italian soldiers during the First World War. 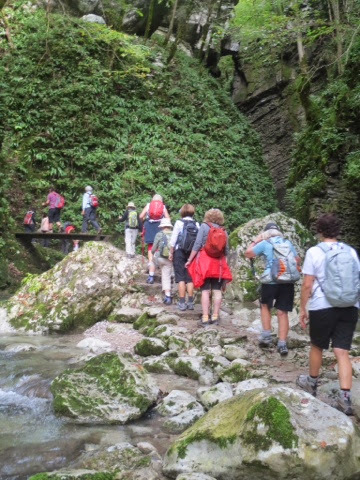 The historic path leads us through trenches, forts and buildings defending the pass, and beside the stunning aqua blue Soca river and the Socca valley. 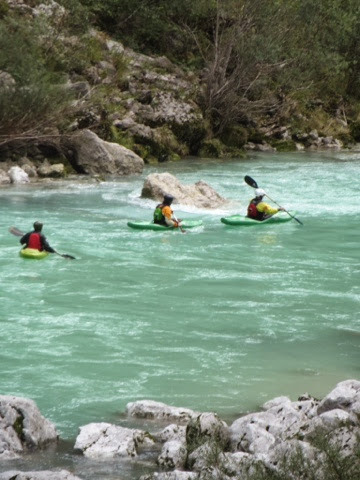 We continued across a suspension bridge and through a deep gorge with several crystal clear pools, where we spotted several kayaks manoeuvring through the rapids. 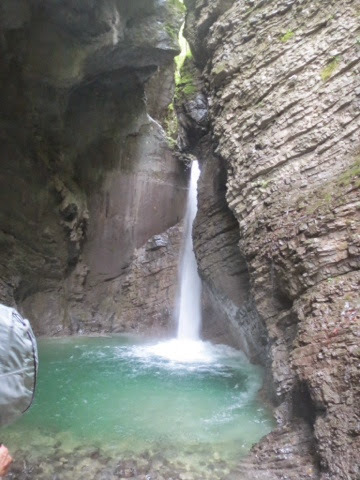 Our final destination was an impressive waterfall which has carved an underground hall. It's bottom is covered by a vast blue and green pool, and it's walls are reminiscent of those in the Kast caves. The scenery is unforgettable as we enjoyed our picnic beside the river. 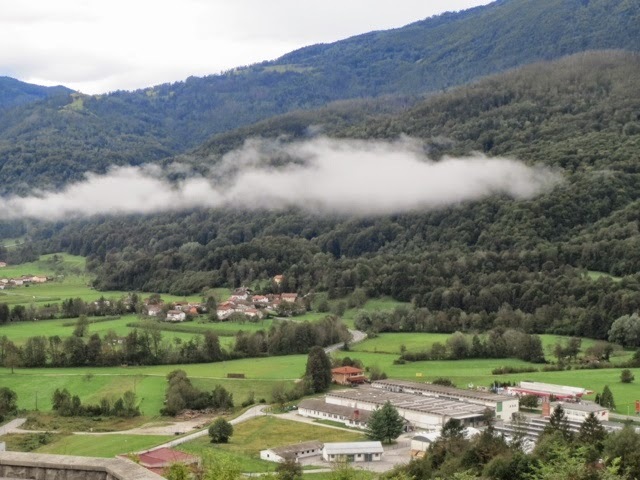 Returning on a different path to Kobarid we then visited the Museum which represents the history of Kobarid region from its inception through to today. Ending what was a full exhilaration day and our last night in Slovenia at an award winning restaurant, feasting on local trout and a selection of Slovenian dishes. I cannot wait to return next year to explore more of this stunning uncrowded country.